Barbara S Bowers (ed. 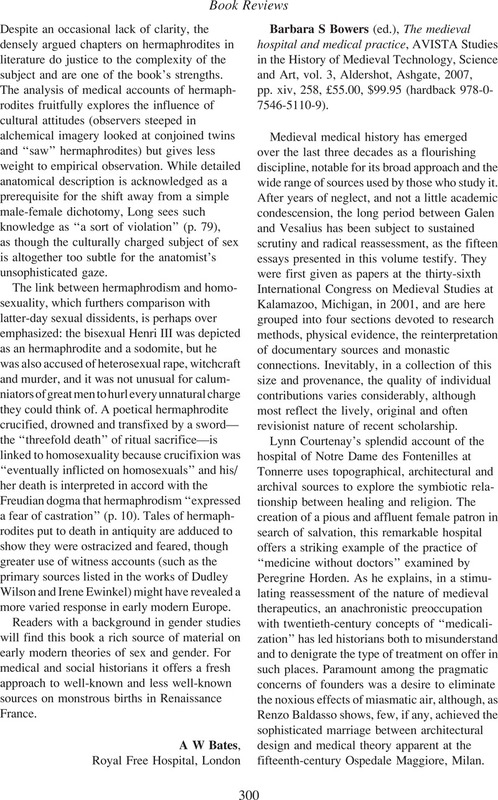 ), The medieval hospital and medical practice, AVISTA Studies in the History of Medieval Technology, Science and Art, vol. 3, Aldershot, Ashgate, 2007, pp. xiv, 258, £55.00, $99.95 (hardback 978-0-7546-5110-9).